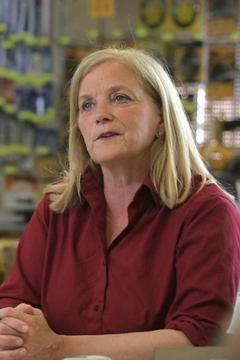 Congresswoman Chellie Pingree – a Progressive island. You are here: Home / A Progressive Way / Congresswoman Chellie Pingree – a Progressive island. For mainlanders, islands are about getting away. But there is another lesson about island life–one of community and having to find ways to work together with neighbors to identify priorities and do what needs to be done to ensure a community thrives. Maine Congresswoman Chellie Pingree, a vice-chair of the House Progressive Caucus, spent her adult life on an island of just 350 people. She uses the story of living on an island to explain her approach to politics and to illustrate a practical perspective on progressive issues. For this conversation, you will hear her definition of progressive, thoughts on her life from a teen in Minneapolis to a congresswoman from Maine, a story about the importance of health care to islanders and final comments on what values are important to progressives in America.